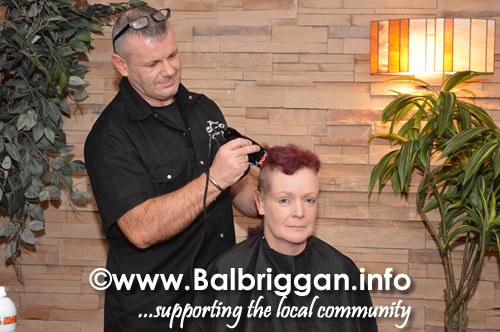 Hazel Walsh is one brave lady as on Thursday night she had her head shaved of to raise money for Cancer. 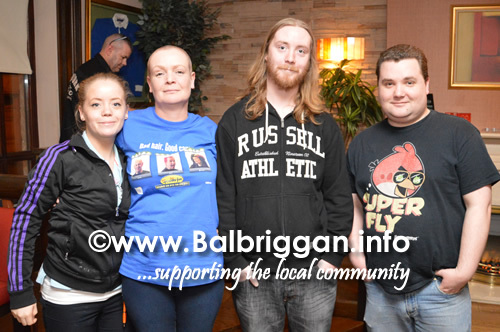 Hazel had plenty of supporters to cheer her on including her workmates from the Bracken Court Hotel. 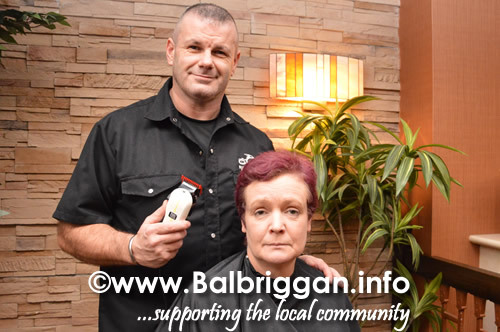 Also there to help Hazel with her task was Paul Flemming from Boston Barbers. 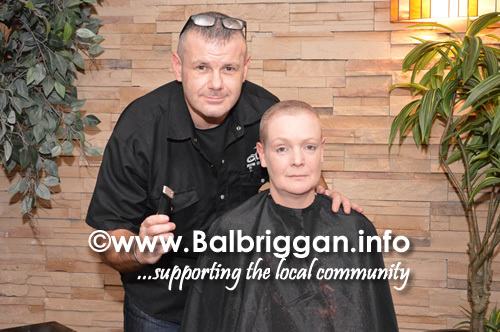 A big well done Hazel, not an easy task but you did it!